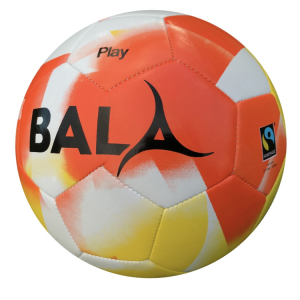 The Bala Pro is our top of the range hand-stitched ball. 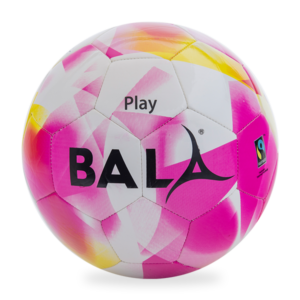 It’s made to the same specs as FIFA Approved balls. 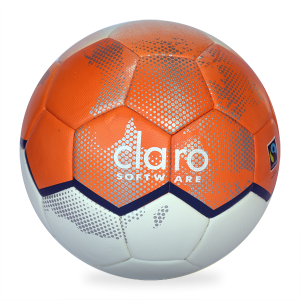 Football’s governing body doesn’t allow any other certification mark on FIFA marked balls – but that’s fine as we don’t want to pay the fees imposed by them for use of their logo. 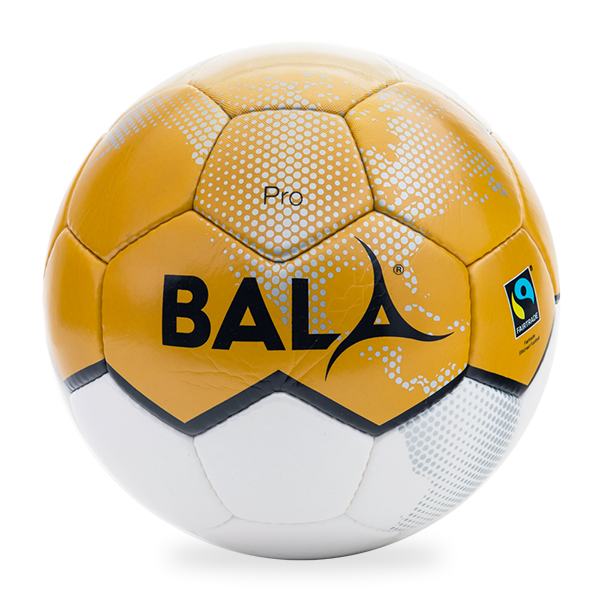 We’d rather pay the makers of our balls more through a higher Fairtrade Premium. 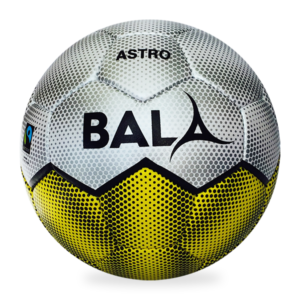 The Bala Pro is skillfully hand-stitched in 1.5mm PU with 4 polyester backing layers with an 8 wing latex bladder. Official size and weight.